I can’t wait to sit outside in the sun again! 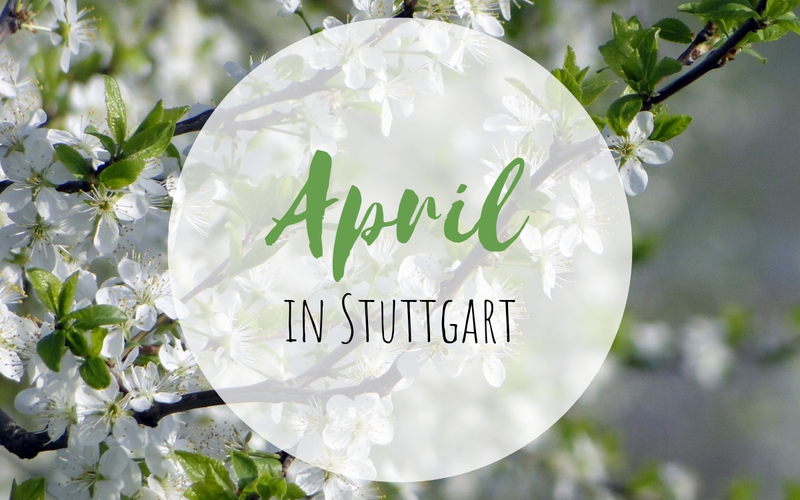 And I really hope spring is waiting around the corner because with April in Stuttgart comes the time of fun outdoor events! No, not the lovely street festivals, that will take some more weeks, but highlights like Frühlingsfest and International Festival of Animated Films. But of course there is much more going on this April in Stuttgart. 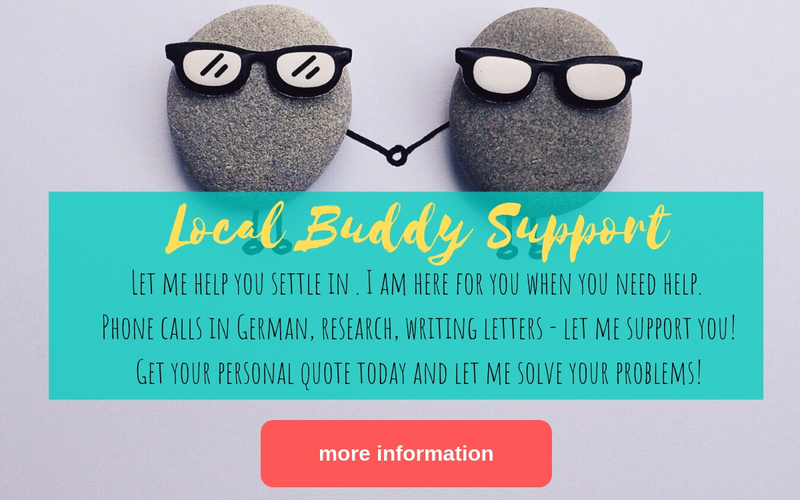 As every month, I’ve put together my personal highlights that are fun to visit even if you don’t speak German. You can start into April with the American author Daniel Regelbrugge who will read some of his new pieces at Dark Monday on April 1 at Merlin. If you like to sing and would love to join a choir: The International Choir meets on April 2 and every other Tuesday at Schauspielhaus. 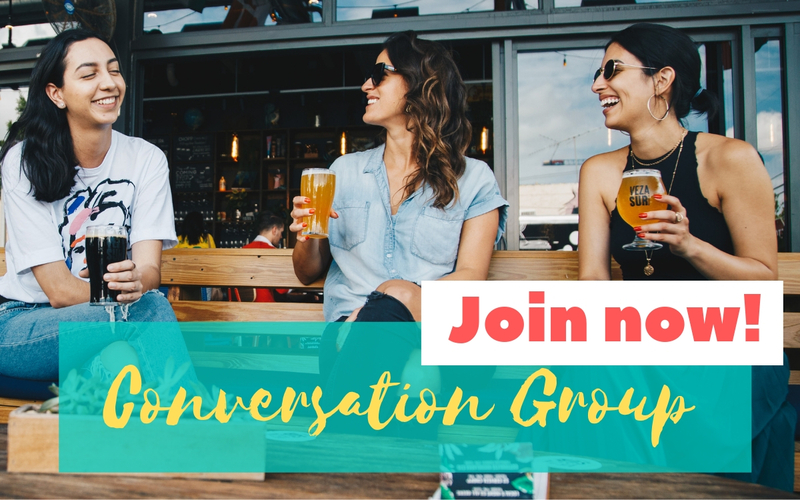 Newcomers are always welcome! You like street dance, Hip Hop but also classical music? Then the Fly Dance Company will blow your mind on April 4. The ensemble consists of former street dancers from Huston and combines dance with acting and acrobatics. You want to laugh the night away? Then don’t miss Stuttgart English Stand-up Comedy Night on April 5 at Climax with Reginald Bärris. If Electronica/Deep/House Sounds are your thing you should not miss the Vinyl Session von Any Colour You Like at Hillsons on April 5. On April 6 you can try Bouldern at Österreichischer Platz. Australian Football is said to be the best sport in the world. If you want to find out whether this is true or not you can give it a go at the Come and Try-Session on April 6 – man and female players are welcome! The opera Nixon in China is based on Nixon’s meeting with Mao Zedong in 1972 and broaches the issue of the power of media. It will be performed in English at Stuttgart Opera on April 7, 12 and 20. Have you ever heard of One Page Plays? The whole plot must fit on one piece of paper. You can imagine these plays are very short, super fast paced and highly entertaining. You can enjoy them at Theater am Olgaeck on April 4. 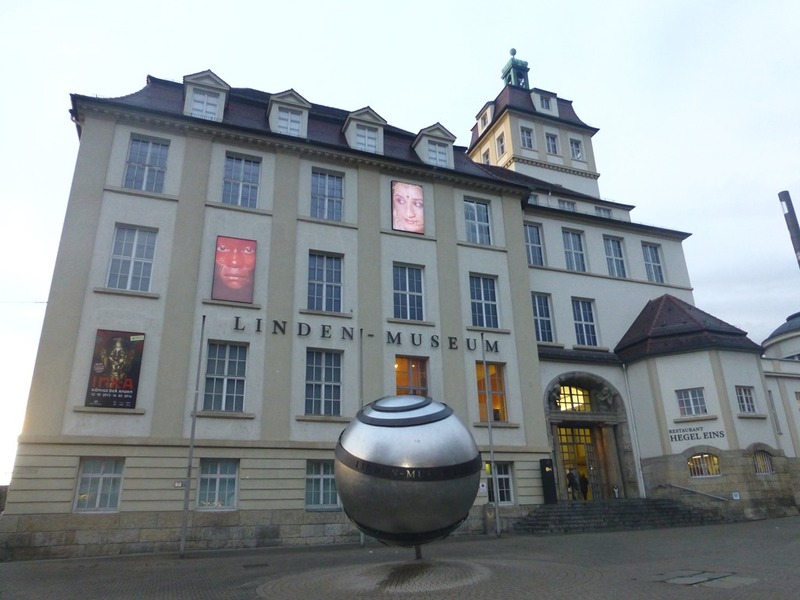 The scripts are all written by the writers collective Writers in Stuttgart and actors of the New English American Theater. On April 6 and 7 it’s all about food and style – at the fair Tisch&Tafel in Fellbach. Here you will find special groceries and drinks but also design furniture and home décor. Bring time, a big shopping bag and your credit card! 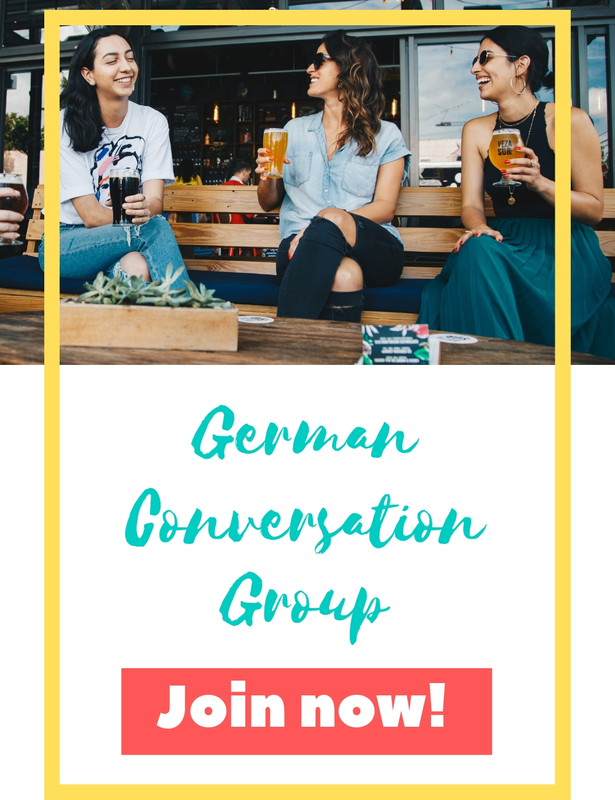 If you want to practice your spoken German in a fun and relaxed atmosphere, here’s your chance: I offer new German Conversations Groups that are starting this April. The B1&B2 Group will meet on April 9 for the first time and the B2+ Group on April 10. It will be all about you losing your fear to speak in German and to finally become comfortable saying what’s on your mind without thinking too much. Latin movies can be enjoyed in their original versions at the festival CineLatino/CineEspanol between April 11 and 17 at Delphi Arthouse Cinema. Whether you like to sing or you like to listen to others doing so – don’t miss Karaoke Night at Big Gago on April 12! Between April 12 and 14 the 4th Craft Beer Festival will take place at Wagenhallen. Have a great time with your friends while tasting the one or other glass of beer. If you still need the one or other decoration object for Easter don’t worry, you will find everything you need at the big Easter Bazar in Degerloch on April 13. Dance Milonga at a very special and romantical place: the historical fun fair Eliszis Jahrmarkt on April 13. 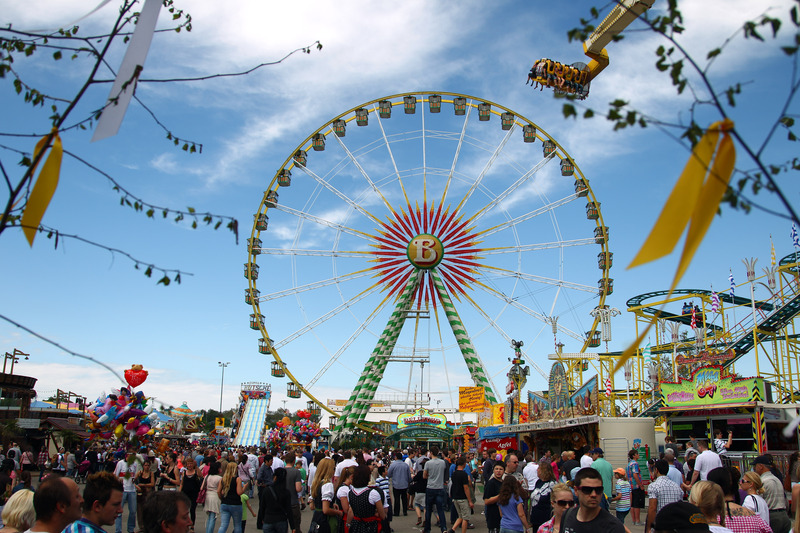 The Frühlingsfest, the small brother of Wasen, is going on between April 20 and May 12. 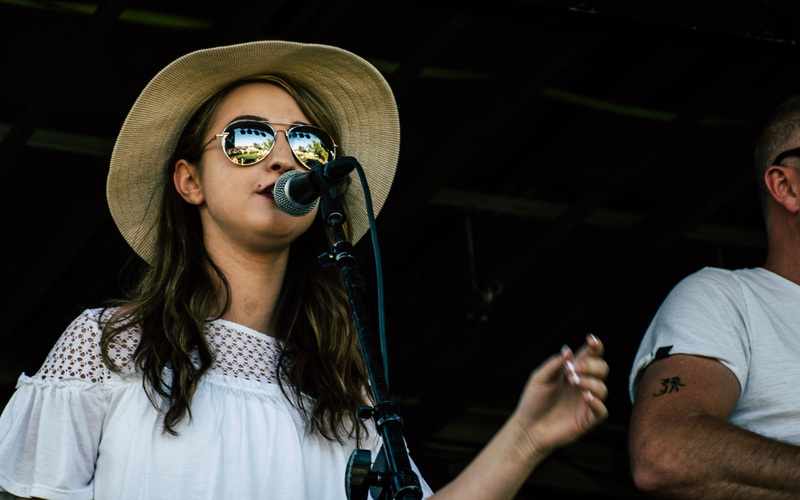 So if you feel like dancing on a table while drinking an insanely big glass of beer – that’s your chance this spring! You like the sound of Cuba, Salsa, Rumba, Streetdance and Reggaetón? Then you should not miss the dance musical Soy de Cuba at Theaterhaus between April 25 and 28! You love Yoga? Then you should not miss the fair Yogaworld between April 26 and 28. Workshops, vegan food and more await you. The Stuttgart International Festival of Animated Film (ITFS) is one of the most outstanding events for animated film worldwide. I like their open air program in particular: it’s free and sitting at Schlossplatz on a warm spring afternoon, watching fun animated films is just a great experience! You can try if for yourself between April 30 and May 5. Tanz in den Mai, or dancing into May is an age old tradition celebrated in Germany every year on April 30. You can join in at the big Tanz in den Mai Party at Phoenixhalle, at the Swing Party at Eliszis Jahrmarkt or at the Walpurgisnacht-Party at LKA/Longhorn for example . Transparency: This article contains unpaid advertisements. 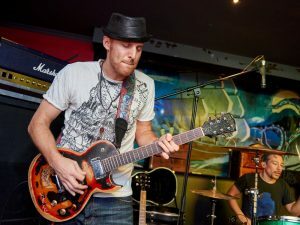 In this post I point out events that are going on this April in Stuttgart that I can recommend personally. I did not get paid by the organizers to do so. Paid contend is always highlighted as such on Living in Stuttgart. Moreover, I researched the information about the events to my best knowledge but I cannot be hold responsible for any inaccuracy. 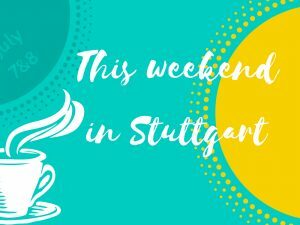 What’s up this weekend – July 7 and 8 in Stuttgart?